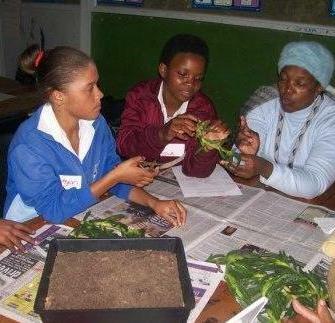 The Environmental Education Centre, which offers curriculum-based programmes for teachers and learners, overlooks the natural grassland. This is a popular research site for many scientists and students. Here, visitors can see a large variety of veld flowers that display their splendour in spring and summer. The Curator’s office is located at the Garden offices, which form the operational centre for all Garden activities. More about the programmes offered by the Environmental Education Centre.